In the (ancient) days before Facebook dominated Cambodia, our small but tiny community of bloggers (AKA ‘Cloggers’) was full of enthusiasm. Many of them became ‘trainers of trainers’ via the ‘Personal Information Technology Workshop‘, holding weekend workshops for university students and getting them started on email & basic blogging. These included Hou Virak, Bun Tharum, ‘Big Kalyan’, ‘Little Kalyan‘, Be Chantra, Chak Sopheap, Nearirath Sreng, Lux Mean. A new face at the time was Kounila Keo. Many of these ‘blog evangelists’ have found a niche for themselves as writers, pundits, organizers and advocates, and used their online presence as a combination of CV / writing sample / profile. Many have gotten overseas scholarships and jobs based on their heightened profile and reputation. (Virak’s now in Kenya!) Why are they in demand? 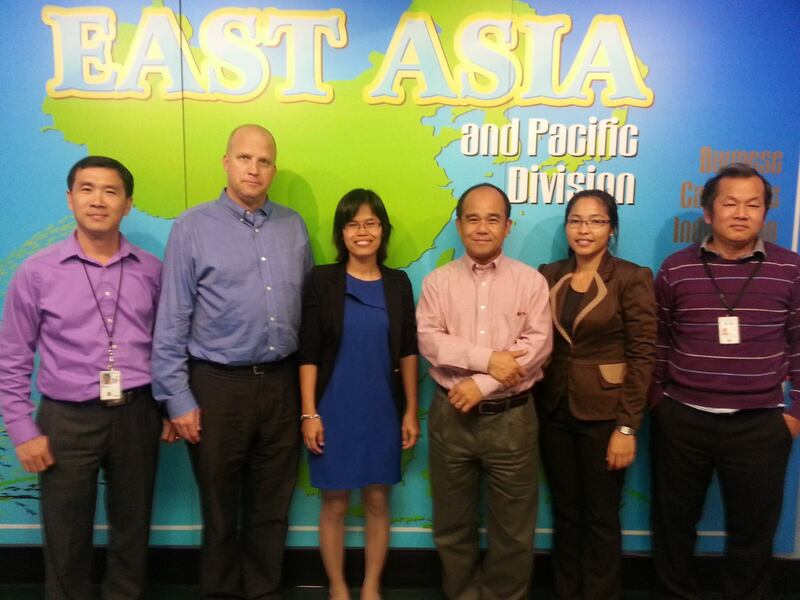 There’s a need for representative Southeast Asian / Cambodian voices in global conversations. In a nutshell, that was my encouragement to a younger crowd at this year’s BarCamp Phnom Penh: share your thoughts — and you’ll meet other people who want to engage with your views. Simply share and people will want to share with you too. News, opinions, and opportunities. Case in point: ‘Clogher‘ Chak Sopheap regularly blogged about human rights, contributed to the Global Voices blogging aggregation platform, and landed a postgraduate scholarship in Peace Studies in Japan. She regularly chronicled her work and opinions working in the field of human rights, and received accolades as a pundit and commentator, moving from personal blog opinions to public editorials. Her efforts to engage the global community in contemporary human rights concerns took her to many regional and international meetings. She also ‘gave back’ to the local community by joining the team that brought ‘BlogFest Asia’ to Cambodia. 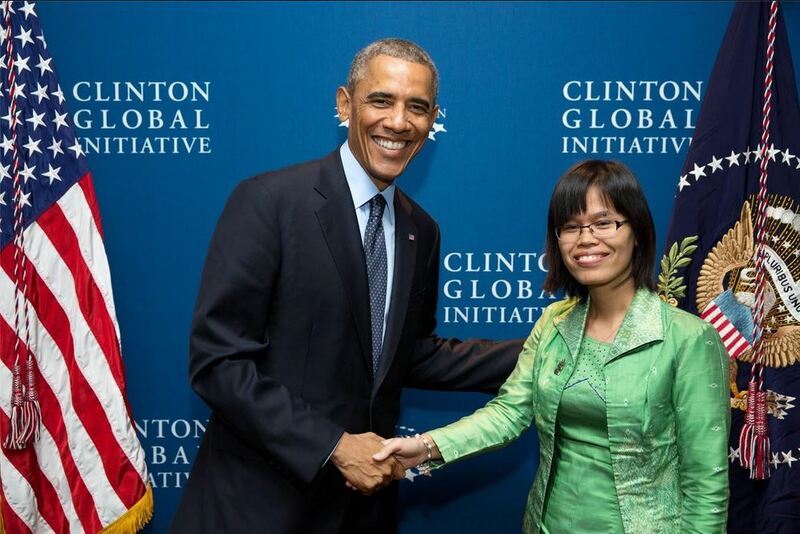 This week she was lauded by President Obama and profiled on Voice Of America in her role as the head of Cambodian Center for Human Rights (CCHR). It’s very gratifying to see one of the ‘home team’ getting international praise. Does the USA government ‘stand with’ civil society? Well… this can certainly be seen as a chance to hold the States to this public commitment. And if anyone can leverage this, Sopheap and CCHR are up to the task. Bravo!